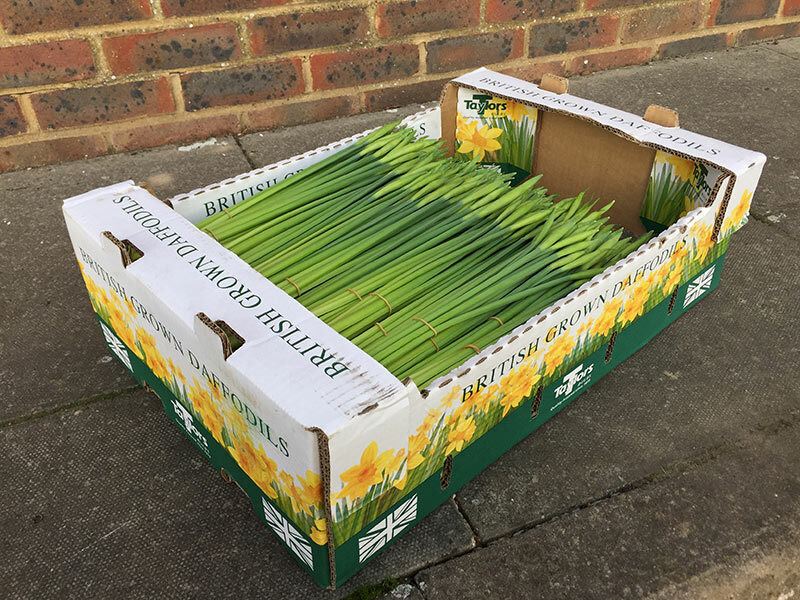 Cut daffodils are a simple product to retail; they are best kept dry, cool and as upright as possible. Do not put them in water or this will shorten their shelf life as the water encourages the bud to open. Flowers grown in our glasshouses are available from November until January. 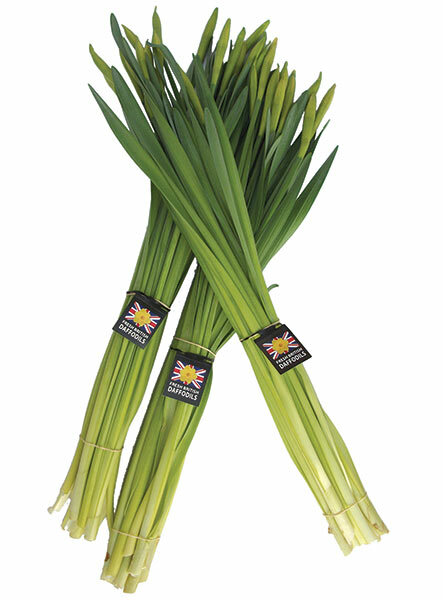 Including leaves, they are supplied 10 stems per bunch. 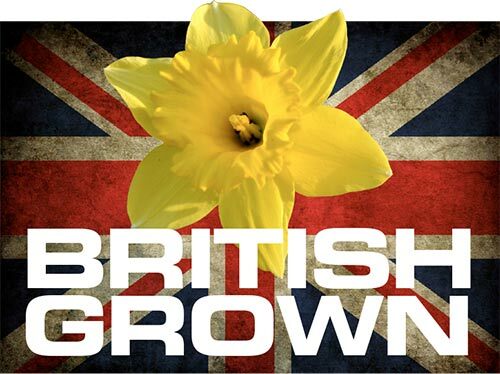 Outdoor flowers from our fields are available from February until April. They are supplied 10 stems per bunch without leaves. 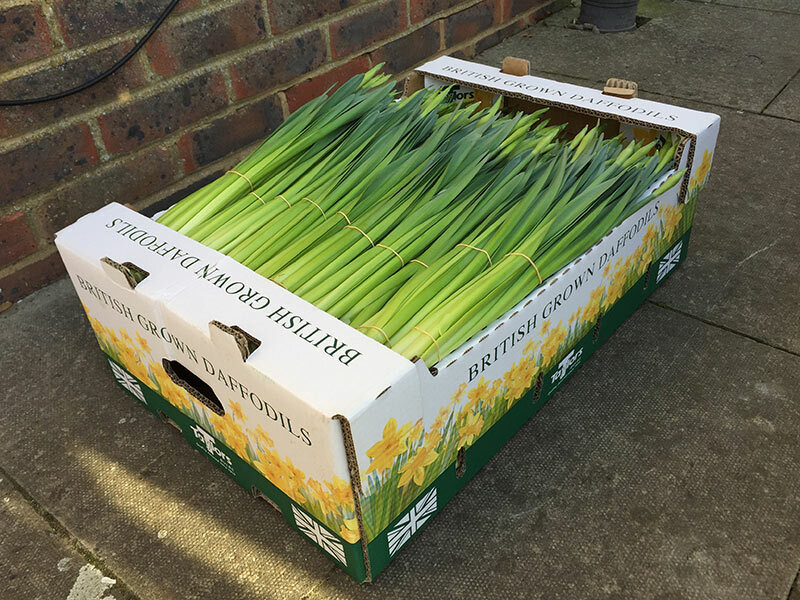 All daffodils are delivered in our very own Taylor’s boxes, as can be seen above. A colour tag with the barcode on is also available for ease at the till, as shown in the photo to the right. All bunches are available with or without tag.